"A tourist pedestrian street with day and night action." 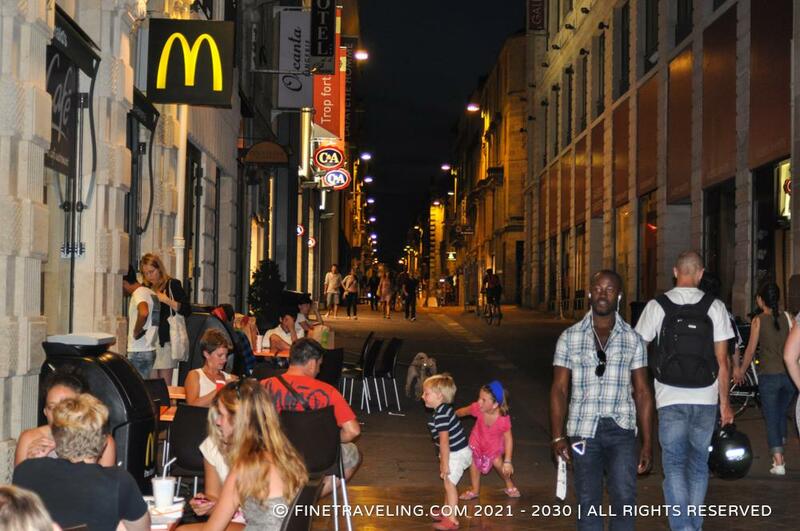 Rue Sainte-Catherine in Bordeaux is just a popular tourist pedestrian street, perfect for a day or night stroll. 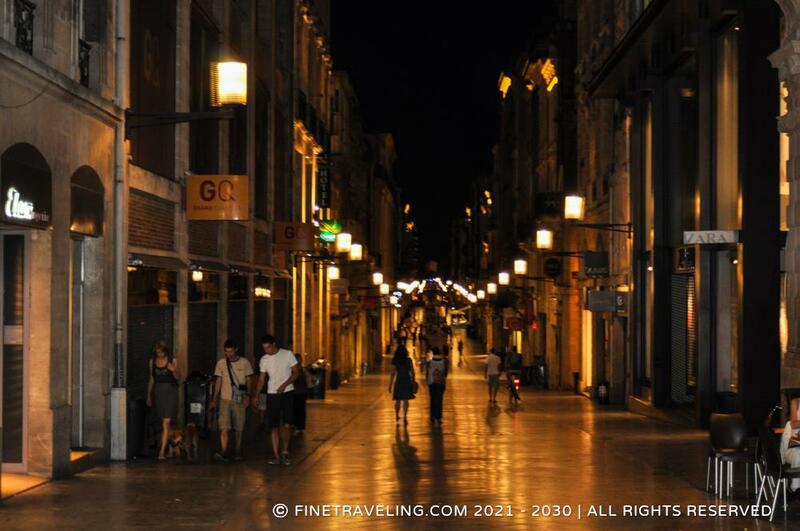 Many shops, brasseries, bars, fast foods etc in the area, keeping you busy and interested, in this highly touristic spot.